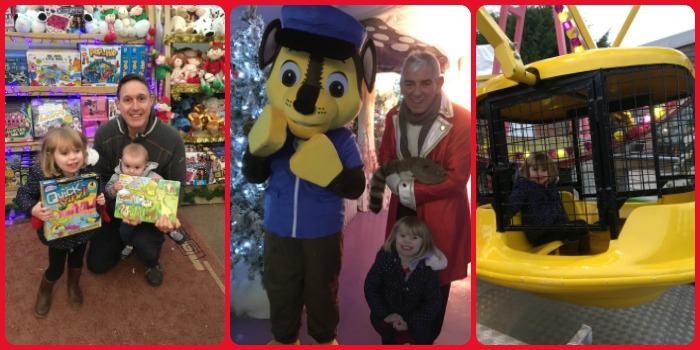 Visiting the Winter Wonderland at World's End, a Wyevale Garden Centre, every year has become a bit of a family tradition and of course we had to take Baby R for his first experience of it all! 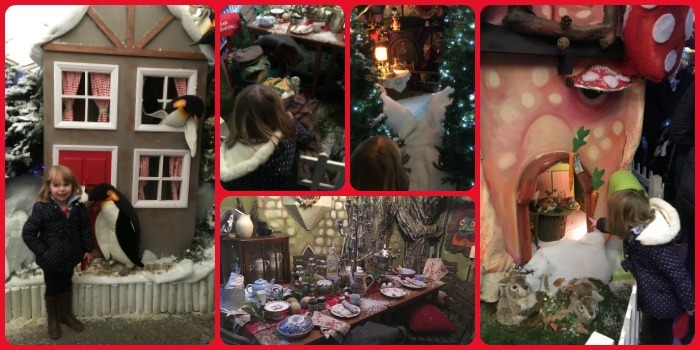 Usually we just do the walk-through of the Wonderland, but this year we were fortunate to be invited along to do a review which included meeting Father Christmas. As we entered the Wonderland Little Miss A seemed to be in a bit of a hurry as she was really excited about seeing Father Christmas but we kept pointing out things in the displays to keep her distracted and slow her down! Each year the themes of the displays in the Wonderland change and they combine animated figures, music and lighting. There were some familiar animals and features from previous years but lots of new ones too. I don't want to give too much away as it's nice to see it all for yourself so have just included a few pictures to give you a feel. It takes a team of 4 people from September to create the whole experience. I'm always amazed by the level of detail and the variety of different displays. Just as we were about to go off to see Father Christmas, we were greeted by Chase from Paw Patrol. Little Miss A was chuffed to meet him and this was an added bonus as wasn't expecting to see any characters in the Wonderland. Then we joined the queue to meet Santa. There was about a half hour wait on the day we went. There are some large chalkboards that the kids can draw on whilst there waiting. It's a bit cold and dark in the waiting area but luckily Little Miss A was patient and waited nicely for her turn. It's definitely not always the case when she has to wait in a queue! When our turn came we were greeted by an Elf who took us into the Grotto. It's a really nice room with lovely decorations. Little Miss A was initially a bit shy talking to Father Christmas but he was very patient and spoke really nicely to her. There was the chance to take a few of our own pictures before the official one was taken. I'm always worried that it's all going to be a rush and over too quickly, but it didn't feel this way at all. Father Christmas presented both Little Miss A and Baby R with a special key and then we made our way to the toy shop where they could exchange their keys for a present. I was really surprised by the wide range of toys available for all ages. It was really hard to make a decision. Little Miss A chose a Quick Sand set and this retails for £10 on a lot of websites so I was impressed that the toys are of such a high value. Before we left, Little Miss A had a turn on one of the fairground rides. These are extra and cost from £2 a ride. There are also some stalls and a Snow Globe. 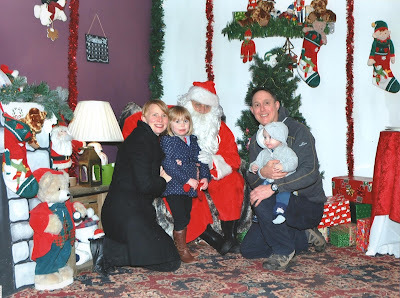 The Grotto costs £12 per child (£3 for each accompanying adult). If you just want to go into the Winter Wonderland, then this is £3 per person. You don't need to book, you just turn up. I can imagine the wait times for Father Christmas are quite long at the weekends, so best to go during the week if possible (our visit was on Friday afternoon) or arrive early. 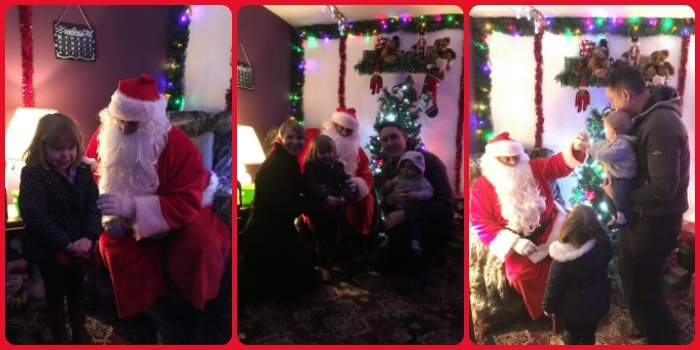 I hadn't really planned where we were going to go to see Father Christmas this year so was very grateful for this opportunity to see him at World's End. Initially it seems quite expensive compared to other Grottos, but I would have to say that the experience was really enjoyable and if you consider that the toy you get is worth about £10, then actually it's good value for money. Find out more about the Christmas Grottos at World's End and other Wyevale Gardens Centres. You can also read more about our experience of the Winter Wonderland in 2015 and the Winter Wonderland in 2014. Disclaimer: We were kindly provided with free entry into the Winter Wonderland and Christmas Grotto in return for this review but all opinions are my own. I like your photos, looks like there's lots to do there & to experience "Christmas"
I think the price is about average but as it's going to charity and you seem to get a decent toy then it works own quite OK. Yes, I can imagine weekend queues are pretty awful - we always try and find somewhere we can book to avoid that problem!